A exploration of the distracting, shiny things in life with your host, C. Patrick. The other day, I was chatting with someone who was feeling bad because they had just come back from a trip but already wanted to go on another one. Here is my response. Let me know what you think about the importance (or not) of travel. 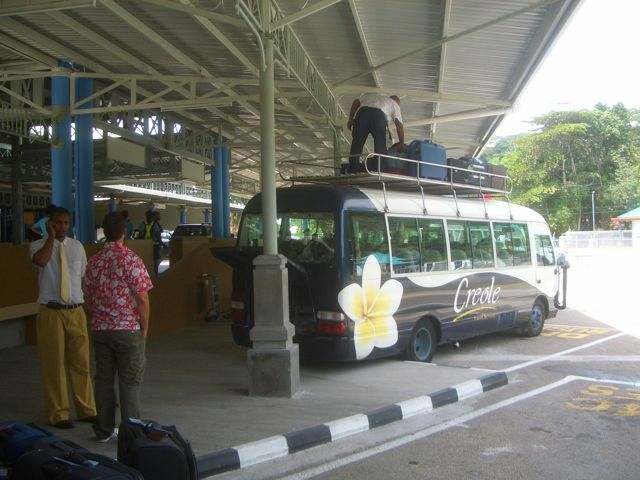 Ride the funky bus in the Seychelles. Ah, but the desire to travel is the desire to explore oneself. To find out who we are, who we really-really are when all of the accouterments of our society have been stripped from us, when even the familiar creates dissonance in some way (Alcohol served at McDonald’s! Craaaazy!). Whether the travel is across the world or to a secluded section of our own city where we have not yet been, the act of traveling, the engagement-with-the-­unknown, teaches us things about ourselves that we need to know to become better human beings and to understand our connection with the larger world–the one outside our known, comfortable one. Travel is not something that we should feel bad that we have the opportunity to do, and we should endeavor to travel even when we DON’T have the opportunity, at least even when (maybe especially when) time constraints, money issues, and everyday obligations seem to be conspiring to make travel an impossibility. Because that search for the meaning of self and the search for engagement with the world are among the most powerful themes of being alive. This entry was posted in Musings and tagged self discovery, travel. Bookmark the permalink.